I have a need to monitor my attic temperature during the winter months particularly. We experience winter weather from -20F to +45F throughout December to March, and snow fall can exceed 24 inches. My concern is when major swings in the predominant temp in the attic happen. It has enough power to work through an entire winter (wired is OK, larger-than-button battery is also OK). It must also communicate temp to my ST hub (obvuously ). Reporting interval doesn’t need to be very fast-- anything faster than 30 minute interval should be fine. No need for precise temperature accuracy. If it’s within 5F, I’ll be happy. Sensitivity can be dull. I’m monitoring for swings in attic temp, not minor fluctuations. No requirements for specific form factor or physical size. Well, ok… it should be smaller than a bread box! Humidity monitoring is a nice feature, but not critical. I looked at the Everspring, but they seem to be out of stock/discontinued. Any current devices? OK, First off any device in those low temperatures will have battery problems. I have in my attic for three years a SmartThings multi sensor. I change the battery once a year. Our temps this year have been very low, so how long it will last I am not sure. What I do know is that I am planning to open it up this summer and connect a power supply to it. As I am tired of going up to change the batteries. If I don’t do that, I will look for a temp humidity that I can use a USB supply. Unless you’re going to remove them every spring, you will also need devices that can survive the summer in an attic, and that typically means heat of 140°F. So keep that in mind as well. CaoGadgets Kumo Wireless Tags Should be able to handle it. You can get integration either through their IFTTT channel or there’s community – created code. These are really well engineered devices, but they won’t integrate directly. You’ll need their $40 bridge and each sensor is about $30. The other thing that’s good about these is they have fantastic range, much better than zigbee or zwave Which can be helpful because it can be tough to get signal out of an attic due to installation, water pipes, and other issues. I’ve used a multisensor by extending the leads so the battery can be positioned into a warmer (more desirable) climate. I attached a CR2450 battery holder to the end of the wire. 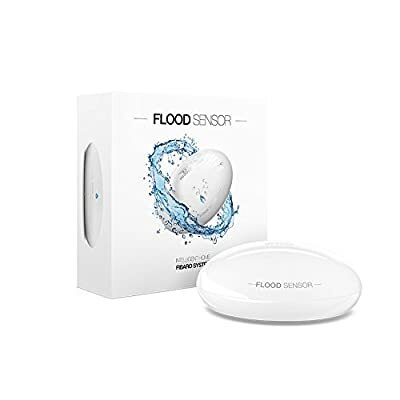 This is a water/flood Sensor but also does Temperature as well. It also has the ability to run off a USB plug and use the battery as backup should AC power go out. Amazon has Refurbs for $25. I purchased 3 of them for water/leak detection and they paired right up and report fairly accurate on temps. 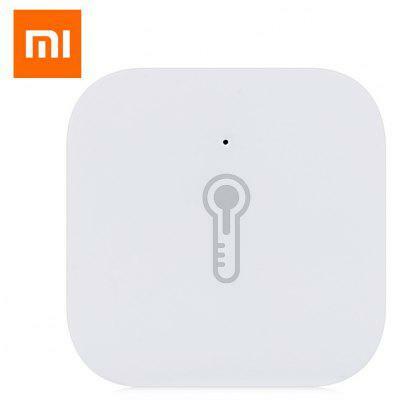 If you’re looking for less expensive option there is the Xiaomi Aqara Temperature Humidity Sensor. I purchased one of these on sale for 6.99 works good. Just US$9.47 + free shipping, buy Aqara Temperature Humidity Sensor online shopping at GearBest.com. Then there’s the Visonic Visonic MCT-340 E. This is a door and window sensor but also reports temp. These go on sale all the time for $10 with free shipping. Last word on the above devices, The Fibaro and Xiaomi are Cloud Execution ONLY if this matters to you. The Visonic can be Local Execution simply by changing it to the “SmartSence Open/Closed Sensor” in the IDE after adding it using the instructions and custom DH. Thanks for the suggestions so far. Regarding battery life, yes, I’m very aware of how cold affects that. That’s why I know that a CR3032 or similar wouldn’t work well-- if at all. I’d be using lithium batteries, if possible, or a wired solution if one exists (haven’t seen one that’s appropriate for this, yet). Regarding the warm-weather Ying to the cold weather Yang… I hadn’t explicitly thought that through. Access to my attic is pretty good, so I’d either remove them or just “let it ride” and see what happens. Attic is well vented (I think) so 140F would be possible but unlikely to be sustained. Regardless, it’s just something to think through but won’t stop the show. @JDRoberts, the Ethernet Tag Manager is the bridge, yes? The smaller tag sensors use coin batteries, which I don’t think would survive well. The larger thermocouple I linked to seems much more robust for a small price increase. Those all look good and have the feature set I’d want, but none of them list a sufficiently low operating temp. The Fibarao lists -4F, which is the closest, but it’s still not low enough. We’ve been below -10F for more than a week already this year, bottoming out at about -20F. Yes, the tag manager is the bridge and plugs in. You keep that in the main house. As far as the sensor tags themselves, people have reported them as being very durable over a couple of years of use. You could ask in that thread that I linked to. But I know people put them in the freezers, put them outside in Minnesota, they’re just well engineered Even with those batteries. Their specs seem to be accurate. I thought the Fibaro went that low I looked real quickly at the manual online and saw the Measured temp range as -20–100° but missed the C for Celsius, DOH! Spoken like someone with the SmartThings itch. Your Attic may not get that low it depends on the house layout, airflow and insulation. Recently with a cold spell down to -10F the coldest my attic reached was 20F. Even the recently cold days not getting above 20F the attic is mostly around 30F. In the summer my Attic doesn’t really get much above 120F, this would be with an outdoor temperature above 95F, I have an attic fan that kicks on around 110F, so this helps. I use the following sensors which work well and are cheap. They are a pain to initially connect to ST, but once connected they are solid. I have had one in my attic for about 9 months with no issues. 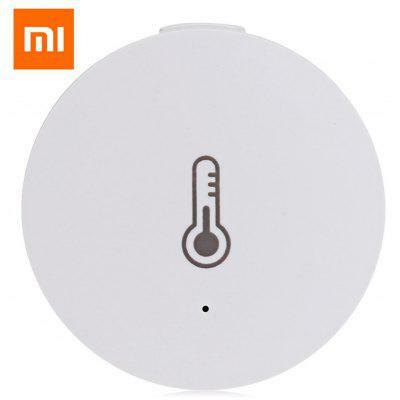 Just US$12.13 + free shipping, buy Original Xiaomi Mi Smart Temperature and Humidity Sensor online shopping at GearBest.com. St anything with a ds1820 sensor: https://www.adafruit.com/product/381 Especially if you either have an outlet up there or a pull string light that you can convert to having an outlet. The sensors range is something like -60 degrees Fahrenheit through 250. A esp8266 chip is $9. Add in a micro USB plug-in adapter to power it and you’re talking $25 total that will more than take care of that entire range. Same sensor could be used Outdoors under an eve of your house if you wanted to record that. See my post regarding changing a better powered device to work off USB power. I did this for the temp sensor in my attic because of the varying temperatures and I also had a receptacle very near the sensor that I wanted to use. I have since done this to many other sensors arround the house with power near by. I bring this up because you can find a cheap battery sensor and make it work for you.